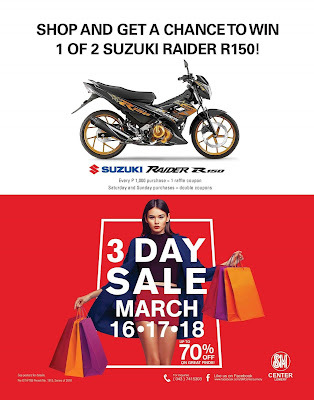 It’s 3 day sale shopping madness for the Lemerenos as SM Center Lemery hold its first mall wide 3 DAY SALE on March 16, 17 and 18.. Shoes, Miniso and all other participating stores at SM Center Lemery. Extra 10% discount will be given to SM Prestige members on Friday, March 16 when they shop at SM retail partners (Surplus Shop, SM Appliance Center, Ace Hardware, Watsons, Simply Shoes and Miniso) from 10am to 10pm. Extra 10% discount will be given to SM Advantage members on Saturday, March 17 when they shop at SM retail partners from 9am to 12nn. Extra 10% discount will be given to SM Prestige members on Sunday, March 18 when they shop at SM retail partners from 5pm to 7pm. 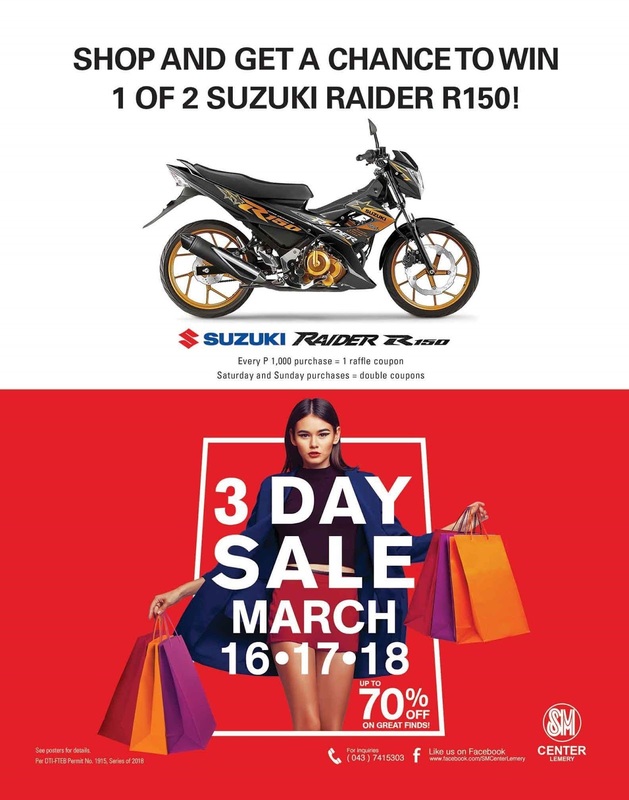 SM Center Lemery’s 3 DAY SALE is on March 16 - 18 with mall hours extended until 10pm and early opening of 9am on the second day sale, March 17.